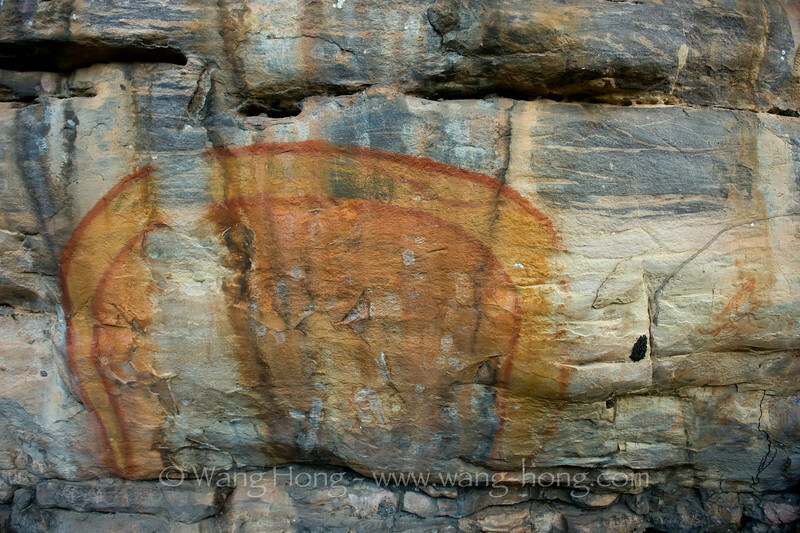 Rock painting of the Rainbow Serpent in Kakadu National Park. The Rainbow Serpent was a major creator being and she created passages through rocks and formed waterholes in the Kakadu landscape, helping form the habitat for all beings. She's also part of the life cycle of plants and animals and the seasonal changes.